Spring is in the air! Easter is just around the corner and here at Galapagos Tagua we are ready to share with you all the latest additions to our shop. All of them in warmer colors, perfect for the upcoming days! 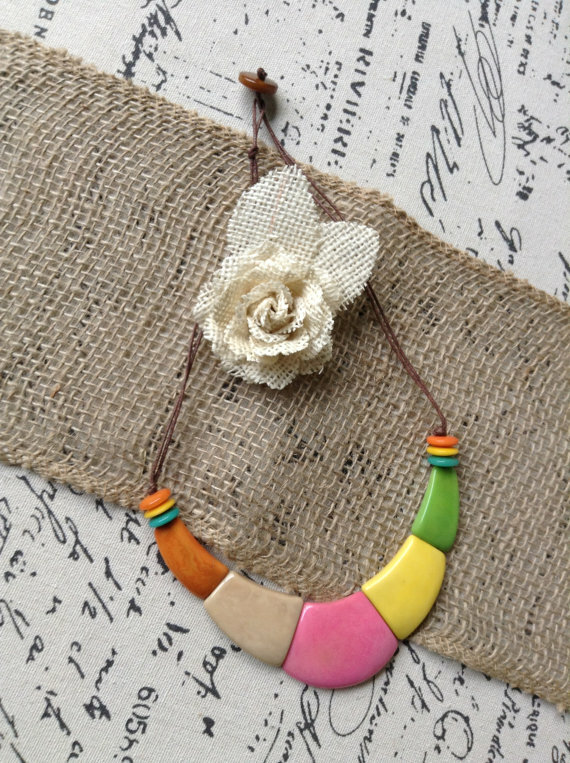 We worked hand on hand with our dear artisans in Ecuador to bring you the best Tagua nut jewelry in the market. Our necklaces are made with genuine leather, giving our jewelry a unique upscale look. 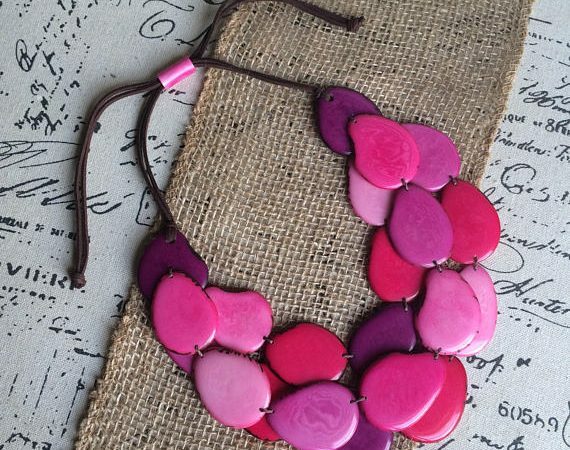 Today we want to share with you, our newest addition to our shop, a beautiful Pink Layered necklace, that you will be able to pair it with bracelets and earrings from our shop for a complete natural look. We would love to hear from you…have any designs in mind you would love to see in our shop? Please contact us!